21" square x 40 1/2" high. 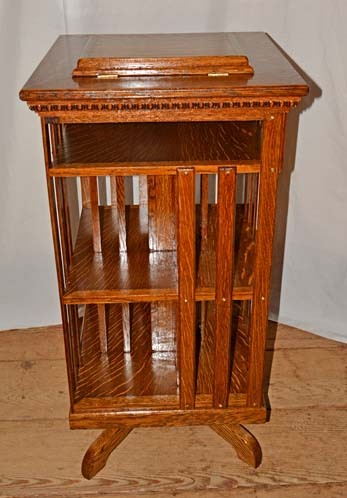 This Revolving Oak Bookcase with Lectern was made at the turn-of-the 20th century out of solid quarter sawn (tiger grain) oak. This bookcase has all of the original round head brass screws holding the beveled oak slats, and Greek Key incised carving on all four sides. 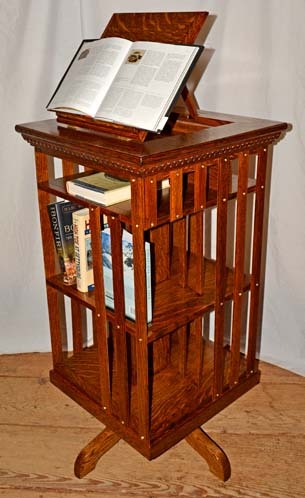 The lectern can be raised for a book or lowered when not in use for a flat top. 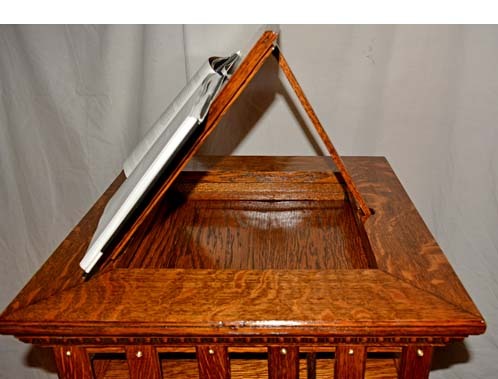 The shelf beneath the lectern can be used for papers, notes or even for a closed book. 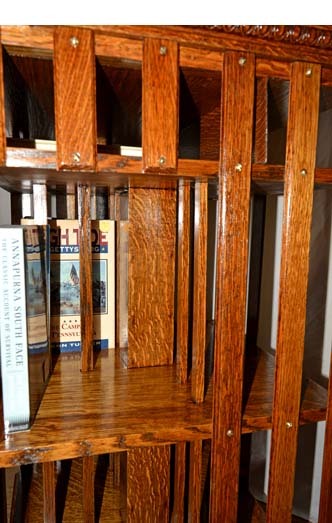 There is a pipe hidden in the center on which the bookcase revolves, so it can be easily shipped anywhere in the country. Contact BARN ON 26 ANTIQUES for a quote on this unique piece.